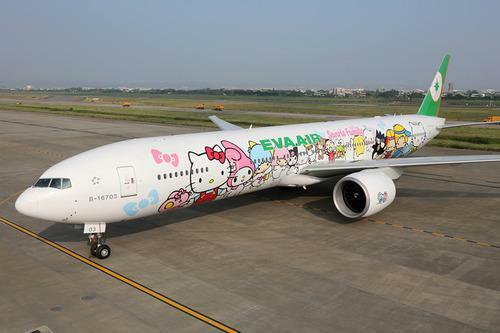 Hello Kitty EVA Air; a Boeing 777-300E plane. current 19:31, 25 April 2015 500 × 333 (22 KB) Torchickens (talk | contribs) Hello Kitty EVA Air, a Boeing 777-300E. [https://www.yahoo.com/travel/the-hello-kitty-plane-announces-service-from-taipei-to-97219687842.html Source]. This page was last edited on 25 April 2015, at 19:31.